I’ve been going to Washington Orthopedics and Sports Medicine in Chevy Chase for my medical needs since 2013. For me this is the best office in the area, which is extremely well managed and has friendly environment, with professionally behaved, pleasant and welcoming staffs. My favorite physician is Dr. Barth! Although he is often busy caring for his patients, I always get the feeling that he is truly involved with my medical needs, wellbeing and progress. The very best thing any person needs to receive in order to trust, respect, love and stay loyal to his/her physician. Furthermore, Alex is the jewel. She is the best assistance Dr. Barth has ever had. She is caring, attentive, and extremely pleasant. She never fails to respond to your messages and emails! Kevin McGinness has been my therapist since 2013 at SMARTherapy. He is friendly, extremely pleasant, caring, attentive, effective, and accommodating. I recently had an shoulder injury and he was booked for almost a month, he however find a way to get me in and start the therapy. I am grateful for his healing therapy. I’m writing to thank Dr. Barth and the staff of WOSM for the high quality care I received recently for Dupuytren’s Contracture. My entire experience was extraordinary! I had a a very successful treatment with Xiaflex, the enzyme treatment in lieu of surgery. Dr. Barth advised me that the treatment would be successful in spite of my fairly advanced contracture and the effect was immediate. I did have a relatively minor skin tear, which he also predicted, and within 7-8 days it was completely resolved. It was so much better than having to treat open surgical wounds and a face a 3-4 month recovery. I was always warmly greeted by the receptionists and medical staff and seen within minutes of arriving in the office. The SmartTherapy staff who I saw twice, once in the Barlow Bldg. and once at Sibley, was also very professional. The whole experience was very positive. God willing, sports injuries and winter weather don’t bring me back in the near future, but I will highly recommend Dr. Barth and the staff of WOSM to any of my friends who require extraordinary quality care. In December 2012, while playing ice hockey for the University of Maryland, I suffered a hip check to my left hip. I immediately went down to the ice in serious pain and was unable to put any weight on my leg. Over the next 10 months I saw multiple doctors who mis-diagnosed my injury 3 times. I was initially told that I had a bone contusion, then a fracture of my tailbone, and then a partial labral sprain. Finally, I was referred to Dr.Andrew Wolff. Dr. Wolff reviewed my imaging (I had multiple MRIs and X-Rays done on the hip) and was able to immediately tell me that I torn at least 3 cm of the labrum in my left hip joint and that I suffered from Femoracetabular CAM Impingement. I was very impressed at Dr. Wolff’s ability to immediately recognize the source of my pain and discomfort. He clearly explained that the pain I was feeling in my groin manifested from the injury in my hip joint and that the best solution at this point was to have surgery for the injury. Dr. Wolff conducted the surgery himself and oversaw my rehabilitation process. Although I missed the entire 2013-2014 hockey season, I have started every game in 2014-2015 and have no pain whatsoever. The procedure to correct my CAM impingement and labral tear was a complete success and I owe that completely to Dr.Wolff. Dr. Wolff consistently impressed me in two different ways: his medical knowledge and his bedside manner. Dr. Wolff is easily the most knowledgeable doctor that I spoke to from the time of my injury to my recovery. He fully understood the injury, its causes, the healing process, and was able to answer any questions that I had. He was able to anticipate my progress and clearly articulate the nuances of my injury without being too technical. Dr. Wolff’s bedside manner is exceptional. He is very patient, kind, and easygoing. I have had many doctors for various illnesses and injuries, but have felt they were impatient or couldn’t relate to my activities. Dr. Wolff was always very welcoming and took a genuine interest in my overall health and recovery process. I felt that I could ask him any question and trust him to provide an honest answer. I met Dr. Wolff in December 2013 and was quickly diagnosed a hip labral tear with cam impingement. I decided to go ahead with the surgery which he performed in April 2014. After 4 weeks on crutches and small steps forward, I started an intense 6-month period of rehabilitation and physiotherapy. In August 2014, I walked the John Muir trail and in December 2014, I climbed Mt. 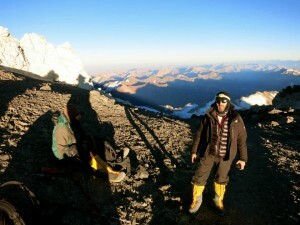 Aconcagua 23000ft. I am ready now to start training for a marathon. Dr. Wolff has been superb. He has great attention to detail, he listened to my every need and answered every question during our visits. He is extremely personable and proved to be available at any time during my pre and post-surgery period. His staff has been outstanding. I would highly recommend him. Running is my big passion and after years of hip pain, thanks to Dr. Wolff, I can finally run pain-free! Dr. David Moss is a wonderfully compassionate and extremely competent orthopedic surgeon. My wife and I came to him after suffering negligence from another surgeon who was not monitoring how my wife’s broken wrist was healing at a bad angle that would badly compromise the wrist’s mobility. Dr. Moss explained the situation and we agreed to emergency surgery the next day, which included attaching a titanium plate to ensure the wrist would heal in the correct position. Two months later my wife’s wrist is fully healed and complete mobility is restored. Dr. Moss turned a very bad situation into an outstanding outcome. In addition his staff and those at the Bethesda Surgery Center were all efficient while also sensitive to our needs. Washington D.C. is fortunate to have such a gifted medical practitioner in our area! I owe it all to you my friend. 51 years old and I can finally understand how it feels to walk. I think I walk around with a smile on my face about half the time. I no longer stop and then step on or off a curb. I can just navigate it. In and out of subway stations used to cause me stress every time. I feared that my legs would fail me. I can stop and turn without fear that just that simple rotation will cause my legs to give way. You get the point. It’s just mind blowing. I will tread carefully with my newfound gift. I’ve been enormously patient with letting my leg recover. And I’m sure my normal state of discomfort for most would be limiting but for me its manageable. I’m still figuring out my limits and have yet to really work out my legs much beyond walking but nonetheless it is something I wanted to share you you. Its all because of you Doc. Nothing I could ever say or do will adequately express my deepest sense of appreciation for all you have done for me. Whatever life I have had has been given to me by you. You are a hero in my eyes. And I thought I should tell you. If you ever tire of surgery you can become a custom tailor (great stitches). I appreciate your kindness and care. You are the best! Warmest wishes for a new year filled with abundant health and happiness! Four years ago, I was injured from a traffic accident and had developed traumatic hip arthritis which had caused me no longer able to walk without aids. My rheumatologist had recommended hip replacement surgery. Dr. Anthony Unger from Sibley Memorial Hospital was selected to be my surgeon. Dr. Unger is an internationally recognized expert in total joint replacement and minimally invasive surgery. He has developed a technique with an anterior approach, which is a true “muscle sparing operation”; This has several advantages; patients recovered faster and had fewer complications than the standard posterior approach. My operation conducted by Dr. Unger and his team went so well that after the surgery, I had suffered no pain and with minimum discomfort. This was due to the fact that Dr. Unger has an in-depth knowledge on the medical aspects of the bone disease and he also has superior and skillful techniques in conducting this type of surgery- that’s why I had a seamless and successful operation.Thank you Dr. Unger! The staff was friendly and helpful during my time of need, I would also like to thank them to deliver such positive care to me! If you need hip replacement surgery, go to Dr. Unger!! There is something special about a “Second First” when you’ve taken your first for granted. My name is Valerie, and I don’t remember the first time I danced, swam or walked with confidence. In fact, up until two years ago, I did all of those things without a thought. Then, I began to experience sharp pains in my groin area and started walking with a limp and tilt. The pain was intense and worsened when I exercised. I didn’t tell anyone what I was going through, not even my family because I didn’t want anyone to worry about me. My sister is a breast cancer survivor, and I remember her asking me to do the Susan G. Komen walk last year. I did not know how I was going to walk, but in my mind I knew it was possible . The pain was hard to bear, but I did the walk, because I didn’t want to disappoint her. Every step was excruciating, but with my sister by my side, I reached the finish line. At the end, she knew something was wrong, so I broke down and told her about my pain. It was then that I knew I needed to seek professional care. My active lifestyle was placed on hold, because I didn’t know what was happening to me. For most of my life I was an athlete, competing in track and field events during my high school and college years. 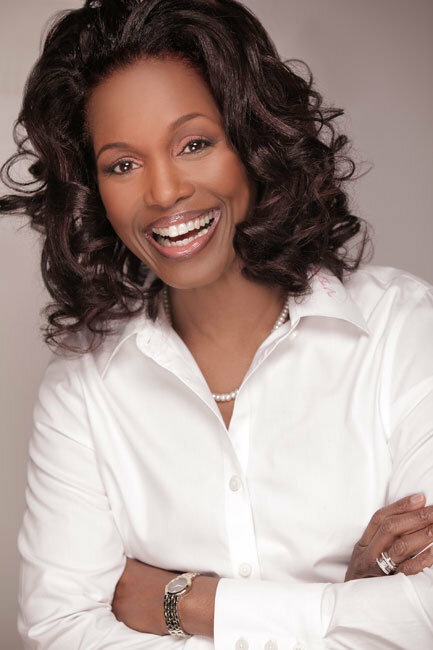 And, as president and CEO of Cor-Les Institute, a health education and promotion nonprofit organization and national training center, I dedicated my life to spreading a message of health and wellness within inner-city communities throughout our nation. I thought of all those people in my Washington, D.C. community who looked up to me and who I encouraged to live a healthy lifestyle. It was now my time to set an example and fight for my mobility, a major part of healthy living and everything that I stand for. I was referred to orthopedic surgeon Dr. Anthony S. Unger at Washington Orthopedic Sports Medicine, who explained that I had labral hip tears and recommended a total hip replacement. 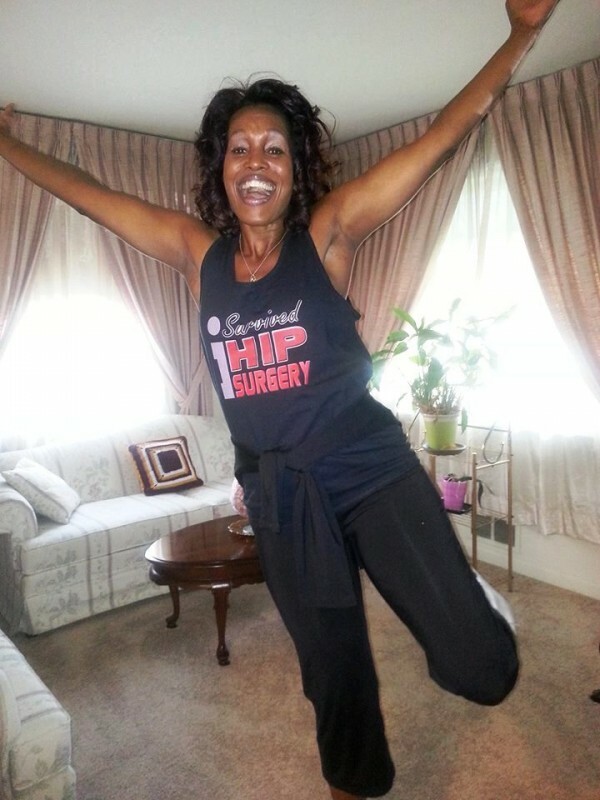 I started to cry, because I would have never imagined that I needed a hip replacement at 53 years old. As my recollection of days when I was able to walk without pain quickly became a distant memory, I desperately wanted to experience actively living my life again. Dr. Unger explained the anterior hip replacement procedure in detail and in a calm and reassuring voice stated, “I will take care of you.” Although I was nervous, at that moment, I knew everything would be okay. One of my requests was to be tall again. My original height was 5-foot-10-inches, but due to severe body tilting, I was much shorter. I ended up having anterior bilateral hip replacement, and two and a half days later, I walked out of the hospital. I was back at work and driving in two-and-a-half weeks. I followed through with five weeks of outpatient therapy and started distance walking at three months post-surgery at 1.5 miles. Today, nine months post-surgery, I am stronger, taller and walking five to six miles, five days a week. My life has been restored, and I am dancing again. I have not looked back, and I’m excited about the future. My key to success was my faith in God, setting realistic expectations and surrounding myself with a lot of love from family and friends. I also trusted my surgeon and I went into surgery as healthy and strong as possible. I continue to maintain a healthy lifestyle. I eat a plant-based diet, take natural supplements and have weekly acupuncture sessions. When I visited Dr. Unger for a follow-up this past summer, I came across two simple words: “Second First,” an initiative described as a point in time when an individual who has lost the ability to do something because of an orthopedic condition can do so again thanks to musculoskeletal care. My first consultation with Dr. Starr was in the spring of 2008. I sought Dr. Starr because his reputation was such that I considered him one of the top spinal surgeons in the country. 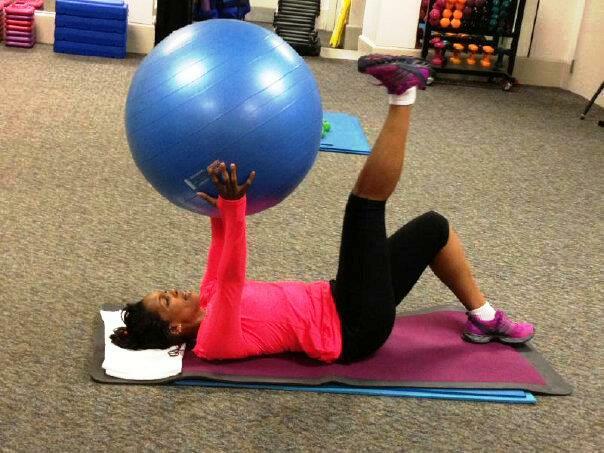 I met with Dr. Starr because I had had six back surgeries, and was still in tremendous pain. My pain was concentrated in my back, but also in both my legs which made it very difficult for me to walk. Dr. Starr is not only an extraordinary surgeon, he is a wonderful person. He studied my MRIs and my X-rays, he talked with me at length, he took new X-rays, and he thought long and hard before giving me his opinion. He demonstrated tremendous compassion and empathy for where I stood, what I had been through to date, and what his best advice was to be. He communicates easily and well and readily explains anything that is asked of him. He exudes confidence by virtue of his extensive knowledge, expertise, and experience. After my first conversation with him I never wanted anyone else to operate again on my back. However, I was unable to have the benefit of Dr. Starr’s surgical expertise until my eighth surgery in May 2009. Following my consultation, I had two other doctors perform my seventh surgery which failed ten months later. To me Dr. Starr is nothing short of a hero. Although I still suffer some back pain caused largely by changes in barometric pressure, my hips and legs have zero pain, and my back, which is now fused from T11 – S1 (8 levels), is structurally sound and solid. The office staff is an equally wonderful group of people. It is so refreshing to be greeted and tended to by such an intelligent, bright, cheerful, competent group of people. Each one makes the effort to know the patients, know who they are and what they need, and then they are able to quickly take care of them in a most effective way. Washington Orthopaedics and Sports Medicine is a fabulous practice – it is definitely filled with the best and the brightest!